Ueshiba Sensei was an individual who showed what it means to exist in a relaxed state, to possess true ki, and to have a unified mind and body. His posture was as solid as a rock and you couldn’t budge him no matter how you pushed or pulled; yet he would toss me effortlessly without ever letting me feel that he was using any strength at all. I was astounded that such a person should actually exist in the world. More than anything, what Ueshiba Sensei taught me was that a relaxed state is the most powerful. He himself was living proof of that. I don’t think there is anyone these days who can truly demonstrate this the way he could. This truly wonderful quality that he took such great pains to develop, not stories about him pulling pine trees out of the ground and other nonsense, is what we should try to leave to future generations. Ueshiba Sensei did not allow shiai. In a real shiai the goal is to deprive your opponent of his power utterly and completely; failing to do that, you can’t claim victory. On the other hand, modern shiai are governed by rules that have been established for the sake of safety and to preserve the lives of the combatants, and it is within these rules that victory and defeat are determined. Such contests, however, are actually sports, and therefore are not really shiai in the true sense of the word. Judo, for example, has been designed so that players can get up off the mat after being thrown any number of times. This is possible only because judo is a sport; in reality such a thing would not occur. In the past, shiai meant that you either tried to kill or severely injure your opponent, or at least render him incapable of further resistance. Otherwise, the match would be considered unfinished and without a victor. Budo, by its very nature does not involve competitive fighting. If you examine the Chinese characters you will find that they literally mean “the way of stopping the weapon.” You lay down your own weapon, and at the same time make your enemy lay down his. In other words, defeating people is not the goal; rather true budo is the completion and perfection of your own self. This is what Ueshiba Sensei always said. To maintain our safety and preserve our lives we have to establish rules. But deciding victory and defeat within those rules automatically places us in the realm of sports. And Ueshiba Sensei was adamant all his life that aikido is a budo, not a sport. While Sensei felt deeply about this underlying principle of budo, he never really taught us anything about it in concrete terms. When we were training he would come around and tell us to “put some power into it.” And yet, when he himself demonstrated techniques he was totally relaxed! What he said and what he did, in other words, were completely different. He also used to say fantastic things like, “The gods became like smoke and entered my body,” and “In all the world, past and present, even among saints and wise men, there has never been anyone who could understand what I say, and even I myself, though I am saying it, do not understand.” Now how in the world were we supposed to make anything of talk like that!? Sensei was as solid as a rock but also very relaxed, and that combination made him extremely strong. He had mastered relaxation by completely integrating it into his body. If I had not been fortunate enough to meet Ueshiba Sensei, I probably would have lived my whole life without ever knowing about this type and degree of relaxation. I’m very grateful to him for showing me that. Eventually I also met Tempu Nakamura Sensei, from whom I first heard the words, “The mind moves the body.” Hearing this I thought, “That’s it! That’s all there is to it! 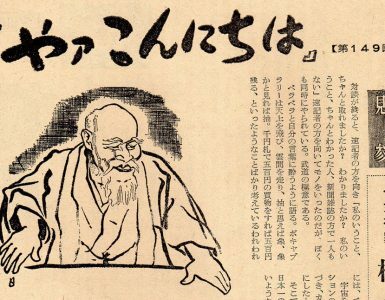 It’s so simple!” I started looking more closely for that kind of thing and indeed discovered that Ueshiba Sensei would move his opponents’ bodies by leading their minds (kokoro). And he did it while completely relaxed. It would have been good if he had simply taught us that, but he never did. After thinking about it for a while I realized that for the mind to lead the body, and in order to lead your opponent’s mind, you first have to be capable of controlling your own mind. I set out with great enthusiasm studying how to do that. In other words, I had discovered that unifying the mind and body is a fundamental underpinning of aikido. Nevertheless, because Sensei kept saying things like “Pin your opponent strongly” when he taught, people misinterpreted his meaning. When he died, the kind of aikido he wanted to pass on to us simply vanished. The “Four Major Principles of Mind and Body Unification” that I teach now are actually things that Ueshiba Sensei demonstrated with his body. The Shin Shin Toitsu aikido that I teach is the aikido Ueshiba Sensei wanted to teach. 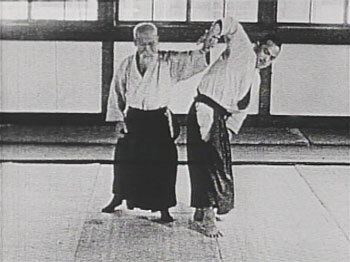 In a great deal of aikido today, the collusive way in which people practice allows ineffective techniques to be passed off as the real thing. Such aikido will only be criticized and ridiculed. People take advantage of the fact that there are no matches in aikido and allow themselves to train in collusion. The result is that they lead themselves into self-satisfaction, conceit, and arrogance. With Ueshiba Sensei’s death, true ki and the principle of mind and body unification vanished from aikido. 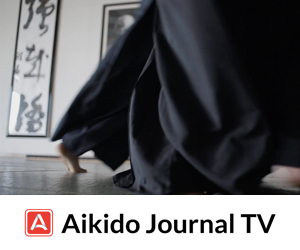 Aikido is criticized as fake, especially when people go around demonstrating using only their own students, not letting anybody else try, and this is a consequence of the fact that the principle of ki has been lost from aikido. It is mistake to think that aikido is a path through which you match your own ki with the ki of others. 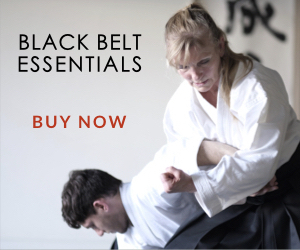 Ueshiba Sensei said, “Five and five for ten, two and eight for ten.” In other words, aiki is merging your power of two with a power of eight to get a power equaling ten. Or matching your power of five with another power of five to get a power equaling ten. Ueshiba Sensei said that is an essential principle of aikido. However, I have always said that aikido is matching your ki with the ki of heaven and earth, rather than with the ki of other people. There is only one heaven and earth, and if we merge our bodies with that, then all people will come to merge with us. Our minds and bodies have been given to us by heaven and earth, and when we are able to unify our minds with our bodies, the power of heaven and earth comes surging out. This energy is inherent in everyone. What I teach is how to polish and draw forth that energy. Aikido prohibits matches because permitting them would result in a departure from the true meaning of budo. On the other hand, almost everyone has some sort of desire to improve, as well as to compete; these are what stimulate us to make efforts and give us hope that we can develop ourselves. Aikido prohibits matches because matches are concerned with the issue of winning or losing. There would be no problem if matches were not about victory and defeat, but rather about how much we can unify the mind that we have been given by heaven and earth to discover our fullest potential as human beings. With this in mind I established what we call the Shin Shin Toitsu Aikido Competition, an event not for displays of circus-like techniques or other curiosities, but rather an opportunity to test this mind-body unification that anyone has the potential to attain. This event is not limited to Ki Society members; anyone can participate. But those unable to unify their mind and body won’t get very far in the competition. I’ve taught mind and body unification to people like baseball star Sadaharu Oh and sumo wrestler Chiyonofuji. The fact is, there is nothing to lose in practicing it, no negative aspects whatsoever. The other day I was even teaching the Yomiuri Giants baseball team. All I hope to do is teach mind and body unification. I want people everywhere in the world to have the opportunity to make their liveswhich, it goes without saying, they only have one chance to livemeaningful through the spirit of Shinshin Toitsu Aikido. Born 1920 in Tokyo he moved when very young to Tochigi Prefecture where he spent his youth. Frail health during his childhood forced him to visit the hospital frequently. At his father’s insistence he took up judo. Having strengthened his body to some degree, at fifteen he earned his black belt and at sixteen entered Keio University’s preparatory program. He continued to practice judo enthusiastically, but contracted pleurisy as a result of excessive training and was forced to withdraw from school for a year. During that time he devoted himself to self-training through misogi kokyuho, Zen, and other types of discipline. At 19, he met Morihei Ueshiba and became his student. In the short span of half a year he became the founder’s representative (dairi) and, having yet to receive any official ranking in aikido, was sent to instruct at the Nakano Police Academy and the private school of Shumei Okawa. At 23 he was called into military service and learned under fire the secret of directing ki into the one point in the lower abdomen (seika no itten). Between 1953 and 1971 he visited the United States on fifteen occasions, teaching and spreading aikido and the principles of ki. Tohei received tenth dan in aikido in 1969. 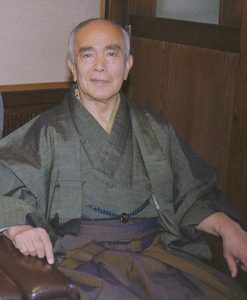 He served as Director of Shihan (Shihan Bucho) and Director (Riji) of the Aikikai until leaving that organization in 1974. 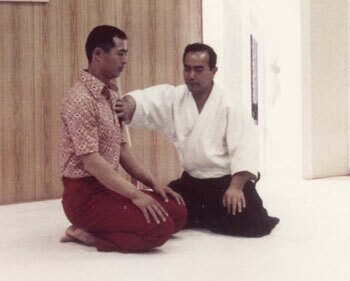 Tohei established the Ki Society (Ki no Kenkyukai) in 1971 (recognized as a non-profit organization in 1977). In the higher more nuanced areas of logic such as occurs in the more pivotal central programming languages, quantum physics or any of the meditation yogas the average person cannot understand, being hypnotized by the SURFACE SCREEN of colors, picture links and what looking and reading evokes for them. When Morihei states, “The gods became like smoke and entered my body,” and “In all the world, past and present, even among saints and wise men, there has never been anyone who could understand what I say, and even I myself, though I am saying it, do not understand.” THAT IS EXACTLY WHAT HE MEANS! THAT WAS HIS EXPERIENCE! No more, no less. Much as I like and respect Koichi Tohei he makes it quite evident on a regular basis that he is an arrogant and pompous individual with a concretized mind biased towards his choice of belief systems, clichéd verbalizing and limited way of training. As time passes I empathize a bit with Kisshomaru for creating the separation. As the old saying goes, ” Both could be wrong.” OR RIGHT for that matter. Conveying your own individual experience with words is nigh impossible. Some people may resonate. Most, not having had a commonality of THAT experience will not. That is simply a fact of life. Looking directly into the nature of things then translating it to fit into the infinitely restricted stricture of words, is an art in itself. Not using the words you enjoy and like to rub up against, but those you intuit will press the right buttons for others can be hard work, only suited for those who enjoy such a challenge. Communication is no mean feat. Men are from Mars and women from Venus and all that. There are endless layers beyond the genders. Stripping down to the chase the salient feature Morihei was constantly bringing forth was the AI of ki. Not just ki. Ki requires no special skill everyone does not already have. Ki is innate in everything. AI-KI is the refinement of SKILL or Yoga, the harmonising of discord. Reconciliation. LOVE. It is that which uplifts and harmonizes all things, skills interactions and possibilities. Tohei could show some gratitude to his teacher, instead of the immature and competitive attitude he ad nauseam pontificates. The only reason Aiki Budo is a useful training tool is because it brings forward the feature of challenge in the form of death dealing aggression (faked for purposes of training). This then being harmonized (difficult in the beginning as it is advanced spirit not merely reptilian cave man instinct habituation,) stops you from deceiving yourself that you are achieving something you are not. You can then (hopefully) render all other attributes of life harmonious. And none iof these will be easy either. Harmonising is work. It requires sweat, pain, change and all that. Harmonising is the overcoming of inertia, stagnant habits and erroneous habituations to generate Light (Hikari) Morihei also spoke lucidly about. It is about restoring the true nature of things and the universe. It is about reclaiming yourself and enabling others. When listening to another language (in this case that of Kami) you cannot hear if you keep referring to your old language as a point of reference since the structure, syntax, nuances, connotations and other variables are differently put together. In many cases entirely. Fish don’t walk on land. Rocks don’t fly etc And as one high level IT specialist told me all proud of my bells and whistles website, html is for cave men. He showed me some CSS, wowed me then dumped me to find out for myself. It hurt. I still marvel at the php I steal but still barely hint at understanding. When I get to the zeros and ones I’ll be like Neo! But that’s long way off. You have to become the new language, embrace it surrender the ego and LISTEN with a desire to hear the spirit of the meaning, not the grammar of your own not listeningness! And listening is best done with mouth closed, ears open, your zori or muddy cowboy boots outside of the dojo, off the mat, along with your ego. Sorry Nev I can’t agree with your view of Tohei Shihan and most of the time I do agree with your thoughts. I was Tohei Shihan’s otomo for one of his visits to the U.S. (1967) and he was a kind and humble man who treated me like family. I believe everyone wears different hats for different occasions. I know the sensei hat I wear is different than the father hat or the friend hat or the boss hat or the instructor hat. Each hat brings out a different side or action. At the dojo I teach one way and when instructing cadets at the police and corrections academies I teach totally different. I think maybe he had to be that way at times but the man under the hat was a fine and extremely gifted aikidoka and aikido owes him a lot. 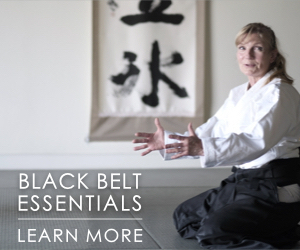 Nev Sagiba’s clarity of spirit and enthusiam for budo–as always–translates well into words. Still, I have to appreciate Tohei-kancho’s honesty in the interviews that I’ve read from him. 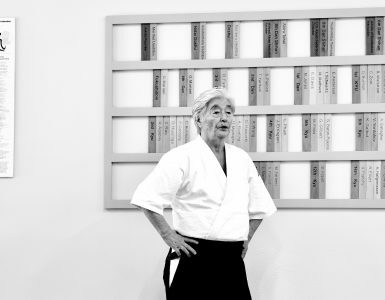 He was so often open about his confusion surrounding his promotion to 10th dan and frustration with the politics involved with the leadership in the Aikikai in the late-60s and early-70s. He has also expressed some bewilderment with what he deemed to be jealousy from O-Sensei. However some have argued that he did not begin telling such stories until after O-sensei’s passing and Tohei’s separation from Hombu dojo. Few of us could argue that Tohei-kancho was easily one of O-Sensei’s greatest students, especially if one considers greatness to be transcending what one is taught. But Tohei-kancho also, inarguably, sought to de-emphasize the martial arts foundation of Aikido. 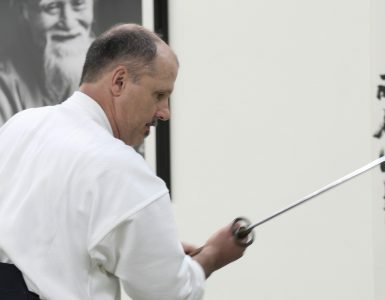 In essence, he seemed to believe that Aikido’s pursuit of “stopping the thrusting spear” had transcended the discernible “fighting arts”–or at least this was to be his interpretation of Aikido if he were to remain “Master Professor” of the Aikikai. Tohei-kancho found himself within the whirlwind of a growing, global organization that bore some weight of rebuilding Japan’s international reputation. He was expected to lead jointly with his teacher’s son Kisshomaru, who was a great aikidoka and teacher in his own right. 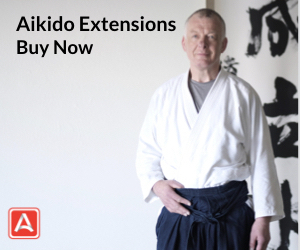 Aikido had an OUTSTANDING legacy, with a founder that was the greatest martial artist of the 20th century and many of his own students and followers making great sacrifices to pass the art onward to people all over the world. However, Aikido had a DIFFICULT legacy, with people who were responsible for the art having varied interpretations of it and–notably–diverse relationships with its moody, aging, founder who had essentially retired right before it grew an international reputation. Tohei-kancho, let’s not forget, is one of the people responsible for that reputation (along with Mochizuki-shihan and a few others). In short, Hombu Aikido is not the first Japanese martial art, let alone the first organizational entity that has struggled with the politics of leadership and the politics of doctrine. 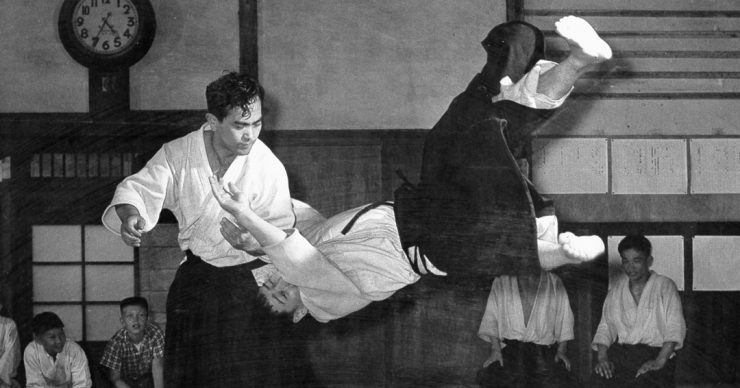 I think that Tohei-kancho spoke openly his perspective about this struggle because he felt that it is closely related to the art that he was actively encouraged to teach–as the only 10th dan promoted by the Founder AND Aikikai–before he was told not to anymore. Upon his reflection, he felt that he could trace his transition from leader ALL the way back to discrepancies between what O-Sensei said/taught and the technique that he actually did. Sagiba-sensei is correct that this is a reach for most of US. Rusinko-sensei however is also correct that Tohei-kancho deserves the benefit of the doubt because of his character, humility, skill, and greatness as a teacher of Aiki. 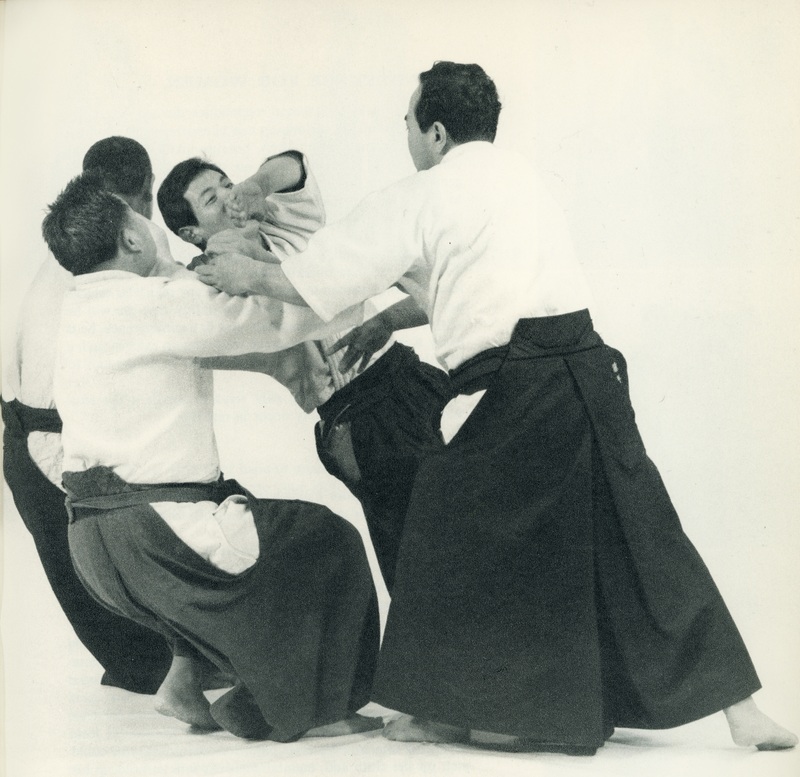 I think that the lessons learned from these issues–including Saito Hitohiro’s break from Aikikai a few years ago–is simply that the politics of change can complicate the transmission of absolute truths. We may have our likes and dislikes but why waste words on others when they are meant to put down and not elevate? Can’t agree with you either Nev. Tohei Sensei learned what Aikido actually is from O Sensei. It was a lesson missed by his son. The rest is Daito Ryu.